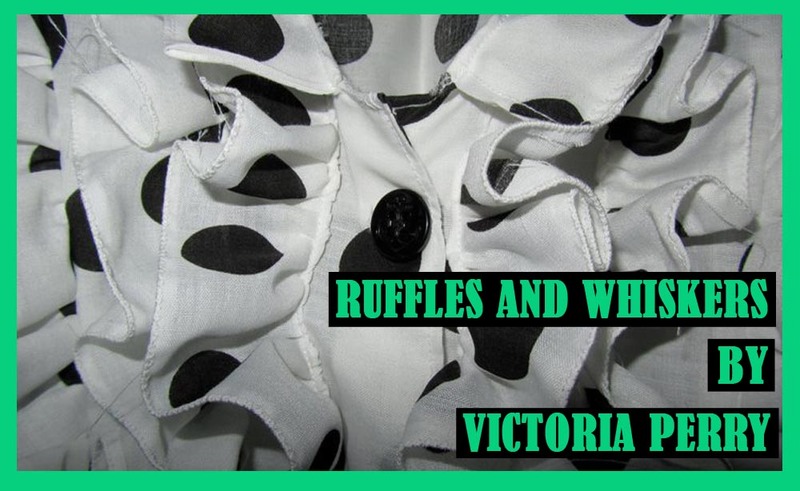 Ruffles & Whiskers: What A Weekend! This week has been a hectic one to say the least, with plenty of exciting things happening. This week saw my husband & I celebrate 5 years of being together, his 25th birthday, one of our best friends birthdays, and a welcome home party for two of our friends who have spent the past year traveling around Oz & Asia. Not only that, but we've put a deposit down on a brand spanking new car (which is being built in a factory somewhere as i type! ), so it's been a bit of a busy (and expensive) week! Needless to say not a lot of sewing has been going on, however I have finished my blouse muslin and am very happy with the way it's turned out despite the minor alterations I had to make. and I managed to pick up some of these babies at the weekend to.. So I can have my very own leopard print buttons! My red 1947 Butterick dress only has the hem left to do now, but I can't quite make up my mind about how I want to do it? I'm thinking binding the seam with some red ribbon I have, but I just can't decide! Either way, it WILL be done this week! I've also had a few fabric bits given to me by my mother-in-law this week that she managed to grab from work. It's mainly home furnishing type fabric but that doesn't mean I can't find a use for it somehow?! Bottom Right - Dark Grey Wool Blend/Possibly Tweed? Any ideas on what I should do with them?